Last Friday, General Motors previewed the upcoming 2020 Chevrolet Tracker. The preview took place during GM’s Capital Markets Day presentation, which offered investors a vision of their updated global strategic plan. It it, the automaker showed two slides that included a teaser image of the future subcompact crossover. 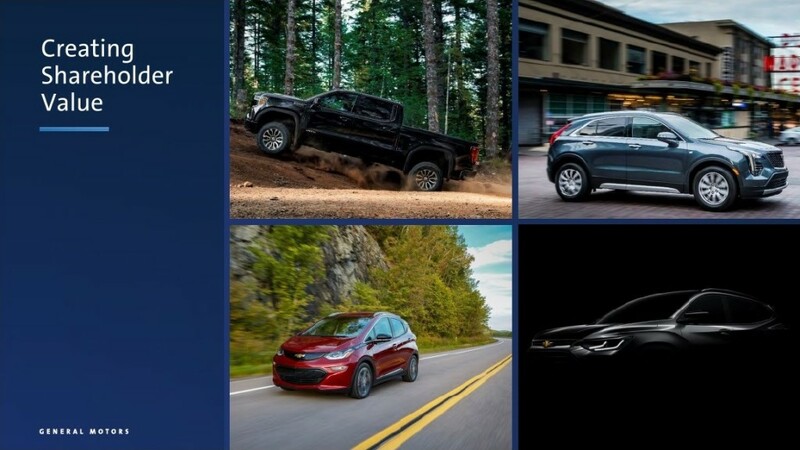 Although the name Tracker is not shown in the presentation, and no caption is offered for its preview, piecing together various clues on this future Chevrolet crossover for emerging markets allows us to safely conclude that the vehicle in question is, in fact, the next-generation Chevrolet Tracker. The teaser image that appeared in GM’s slide shows some very interesting features of the front and side design of the future Chevy crossover. 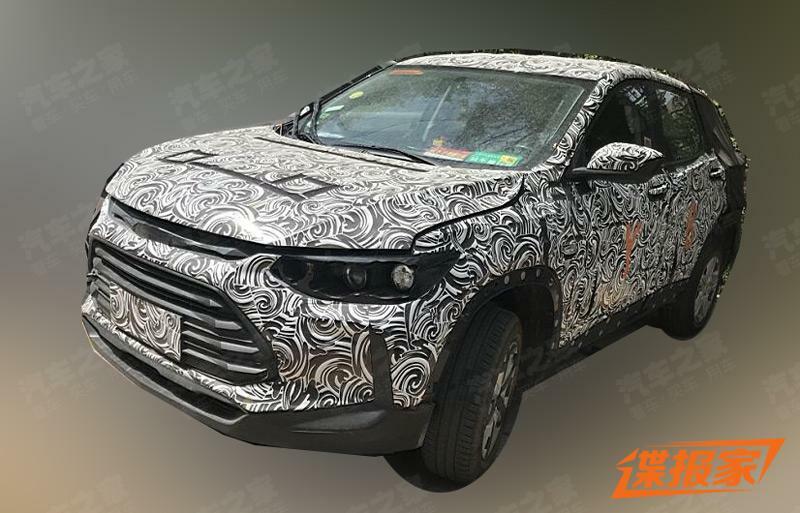 In looking at the details, we notice very that they match up perfectly with the details in the prototypes of the upcoming 2020 Chevrolet Tracker (pictured above), which was captured undergoing testing late last year in China. For example, we can see headlights with a new LED signature, a sculpted hood and a grille that features a bright decorative element clearly influenced by the new 2019 Blazer. There’s also a notable character line on the front fender, similar to the one on the new 2019 Chevy Monza sedan. The 2020 Chevrolet Tracker will be a new offering in the small crossover utility vehicle segment. Its primary focus will be developing markets. The model is being developed on the GM GEM platform wearing the JBUC project code, meaning that the Tracker will no longer be related to the Chevy Trax, which is the case today. Despite being roughly the same size, the new Tracker will be positioned below the Trax in terms of feature/content and price, enabling it to improve Chevrolet’s competitiveness in developing markets such as China, Mexico and South America. Meanwhile, the second-generation, future Chevy Trax might not be called that at all. Instead, the subcompact (B segment) Chevy crossover that will be sold in developed markets such as the United States, Canada, South Korea, and Australia (as a Holden), could adopt the TrailBlazer name, and be positioned as a smaller version of the new Blazer. A new Tracker, or is it possibly just the next generation Trax that their showing? Yeah its the Trax also known as the tracker for other markets..
called the TRAILBLAZER and no 4 cylinder engine. You dont even have to take off the wrapper it already looks sooo predictable. Micro 4×4 is the new hot niche market ripe for picking. The Jimny in America would bury this worn out platform look. Does anyone see the micro cars on the road? They are growing in numbers. Where is the micro 4×4 market? Missing in Detroit for sure! Crossovers are now nothing more than overpriced compact hatchbacks. The idea of Tracker being anything more than a modern Sonic is a joke. I wonder how long it will take for GEM cars to make it to the US? The handling cannot be worse than Ford. Isn’t China mandating more EV cars? Maybe it’s just a Trax with the Bolt’s motor/batteries. Trailblazer is already used in those markets for a wagon version of the Colorado. GM might as well call it anything else because you are not going to sell that to anyone that owned a Suzuki built Tracker. There is a real market for a CAPABLE, affordable and compact 4wd. What’s next? Bringing back the Hummer name on a minivan? https://www.carscoops.com/2019/01/2020-chevrolet-tracker-gets-early-reveal-china/ …Check this out. It looks good.